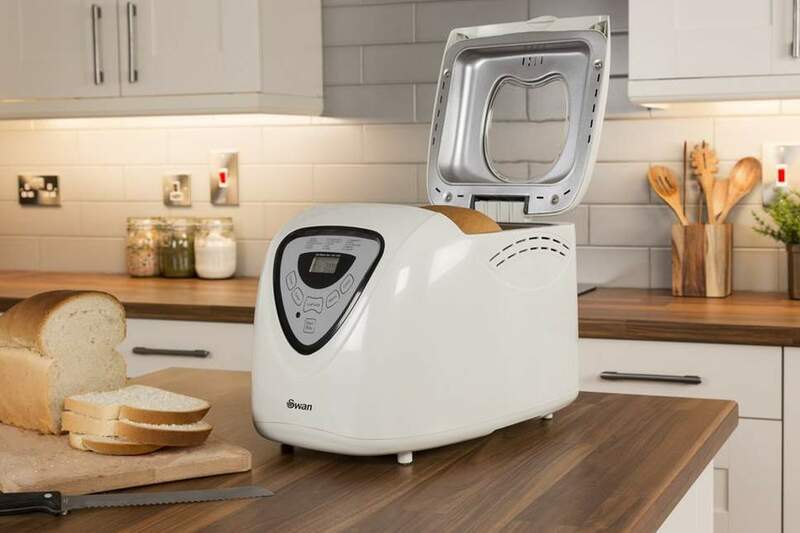 This is a fairly extensive article in which you will find information for beginners about breadmakers: what is a breadmaker? If you already know what they are and what they can do for you here is my recommendation. 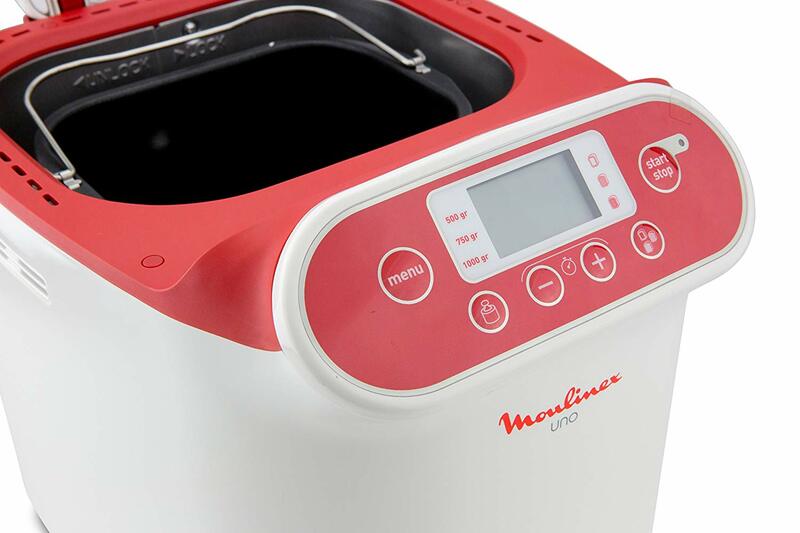 I use and enjoy the UNO breadmaker from Moulinex. If you keep reading until the end, you will surely find useful information and other recommendations. The technical definition says that a breadmaker is a small appliance, the size of a fryer. 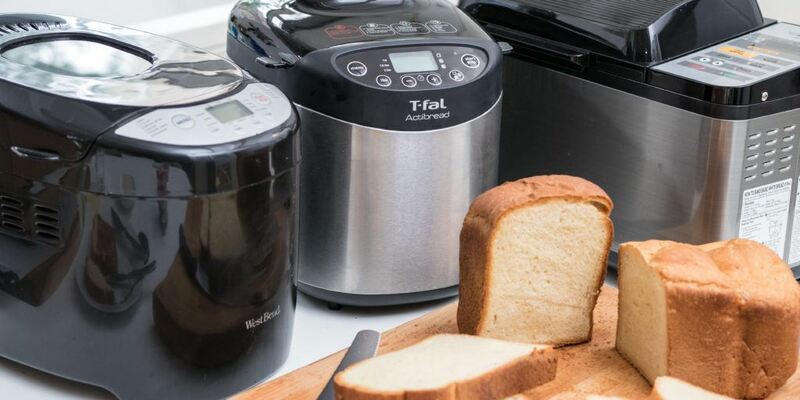 It serves to make bread at home in a simple way, automating the whole process: mixing, kneading, rising and baking. For me, a breadmaker is much more. It is having control over what we eat, knowing that you have used quality ingredients. It is the satisfaction of eating a bread made by you, and that is also great. I started making bread at home by hand, and I recommend you try it, at least once, before buying a breadmaker. There is nothing like kneading with your hands, having the patience to wait and go controlling the ledo of the dough, control the baking, so you do not toast the crust a lot … when you break the bread and make it for the first time it is a wonderful feeling! Making bread at home is a laborious and costly process regarding time. However, the peacemaker allows us to automate it fully. You only have to take care to introduce the ingredients in the bucket and mix them. Then keep it at the ideal temperature, knead with the necessary strength and rhythm. Let the dough rise and bake your bread according to the degree of roasting you have programmed. While all this is happening, you may be doing other things: walking, working, cleaning, watching TV, etc. You can even program it. So that, when you wake up your freshly made bread is ready to take out and have breakfast. The breadmaker has a very simple operation. You have to remove the tray, so that no residue falls inside the appliance, and put the ingredients in the order indicated. 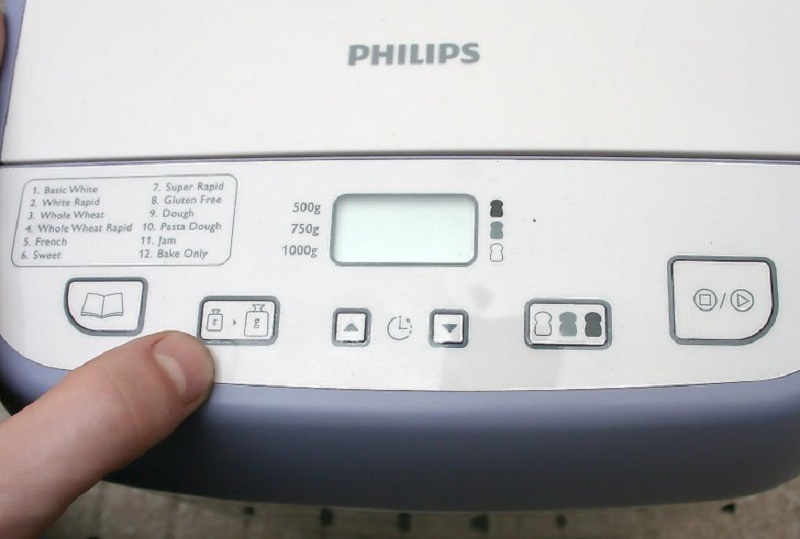 Put it back inside the breadmaker, close the lid and program it by selecting from the control panel. The desired program according to the type of bread we are going to make. We also select the weight of the bread and the degree of roasting of the crust. We press the power button, and that’s it! You have an appliance that only washes clothes, another that only washes dishes, another that only toasts bread, one that only serves to squeeze oranges and another that is all day running and only keeps food cold. You can think that a bread maker only makes bread and then I will tell you that you are very wrong. With the breadmaker, you can also make biscuits, jams, pizza dough and a lot of other things. Also, just as you have the habit of doing the laundry X days a week, I have also internalized this process of making bread. The day that I have done is over; I prepare the ingredients and program. Ready! In three hours, new bread for a week more at least. The breadmaker consumes much less energy than a traditional oven. If you have an hourly rate of electricity, you can program it in the hours when the light is much cheaper. As I said before, a breadmaker simplifies the process of making bread at home a lot. But you might think it is silly because you will use it a couple of times. Then it will end up at the bottom of a cupboard or the storage room. Making bread in the breadmaker will not take more than 5 minutes. You only have to place the ingredients in the bucket, program and set to do other things until you warn that the bread is ready. Yes, I recommend that you are at home when you finish the baking to get the bread as soon as possible because although almost all breadmakers have a function that keeps the heat for an hour after finishing. It is much better if you can get it out right away. Is the bread good at the breadmaker? I’m not going to cheat you, everything in this life requires a little practice at the beginning. Maybe if you do not come up with a good recipe, or if your hand goes out with an ingredient. Things will happen to you as the bread will sink, or that you will know a little more about yeast or flour. But it is nothing that can not be solved with a little trial and error. You can start with basic recipes and once mastered do things like seed bread, nuts, and raisins, etc. The possibilities are endless and for tastes colors! But I’m sure that making bread in the breadmaker will enchant you and when you try it, there will be no turning back. What if I get tired of eating bread with the same shape always? It is true that with the breadmaker we are limited to the shape of the bucket, which is the one with which the bread comes out at the end of the baking process. All the loaves come out as if it were mold bread. From my personal experience, I do not get tired of the same bread because it is never the same. I play a lot with the ingredients, before baking I make different cuts on the top. I understand that there may be someone who is monotonous and I have good news. One day you want to make bread with different shapes. You just have to use the breadmaker to knead and lift the dough and before the baking starts, you can take it out. Give it the shape you like the most and bake it in your oven. The possibilities are endless: rolls, bars, fleas, rolls, and a long etcetera. There are baguette molds very cheap for an oven that you can use to make your work easier and that the baguette is not deformed in the oven. And more good news yet! You can find different breadmaker models that bring a baguette accessory. The process would be the same: knead and lift in the breadmaker, remove the dough and put in the mold for baguettes. Then you have to put it back in the breadmaker to finish the baking process. The best breadmaker with mold for baguettes that I have found is the Moulinex Home Baguette. No way! In the market, you can find breadmaker from 50 dollars. The price range goes up to 200 dollars depending on the model and features. If you are patient and it does not happen to you as when I want something, I want it now, you can wait for the famous Lidl breadmaker that has a price of $49.90. I bought mine on Amazon for about 100 dollars; you can check your current price by clicking on this link as it usually varies. The truth is that I’m super happy with the breadmaker UNO of Moulinex and would not change it for anything. Believe me, before buying my first breadmaker, before even starting to make bread with my own hands. I had many doubts, and I would have liked someone to be there to solve them. If you have any question or want to expand any information of this article, leave a comment right here below. I will be happy to answer your questions.